What better way to spend a Saturday afternoon than drinking a few glasses of wine while getting to cross something off your wedding to do list? Join us at our favorite event of the season on the East End! 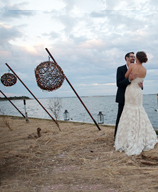 Get the scoop on Martha Clara Vineyards and the most talented vendors on the North Fork. Come meet East End's most talented and creative vendors, while enjoying a complimentary glass of wine in a spectacular vineyard setting at Martha Clara Vineyards. 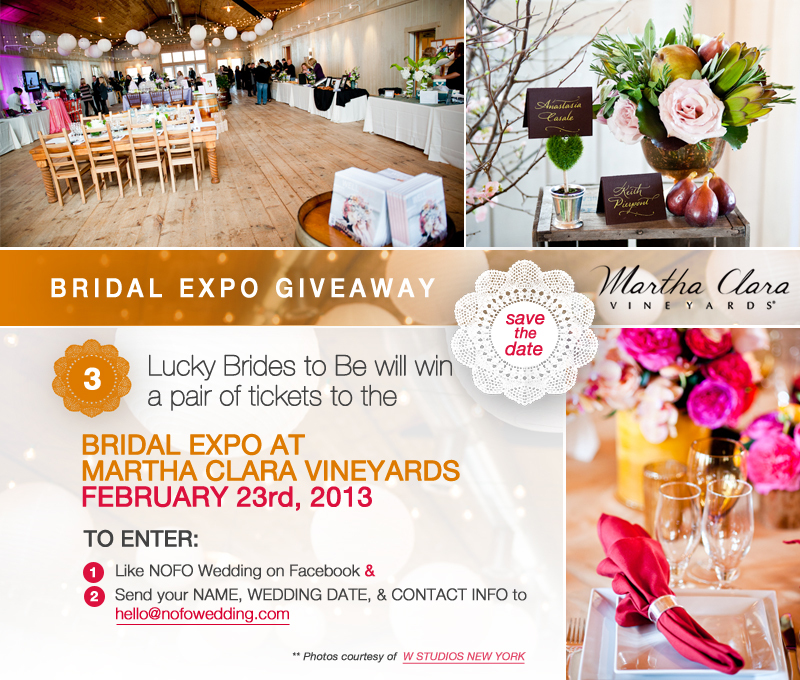 Mark your calendars for the bridal event of the season on the North Fork! 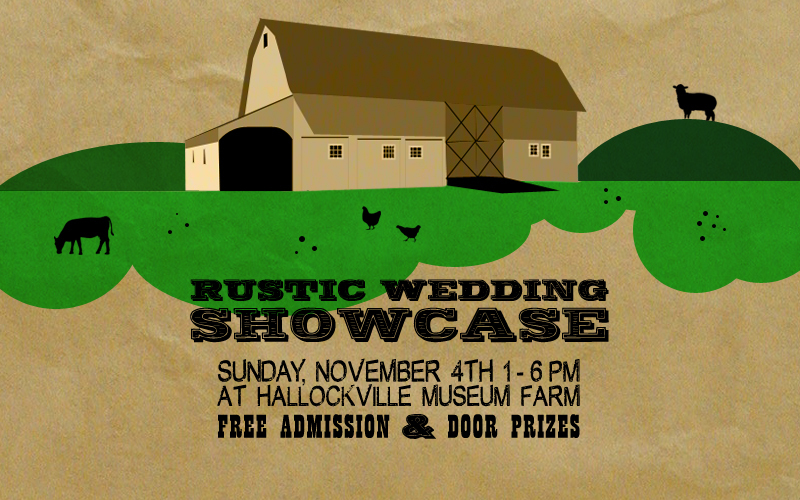 Spend an afternoon falling in love with the historic Naugles Barn at the Hallockville Museum Farm, meeting the best North Fork wedding professionals, getting pampered, and winning door prizes! And did we mention the best part? This event is FREE. So join NOFO Wedding on November 4th and get inspired for you wedding. If you plan to attend please send an email to rsvp@hallockville.com. If you saw last week's post of Lauren & Alex's wedding, you are probably wondering how they made those wonderful grapevine kissing balls that looked so fantastic in their photos. Well, here is your chance to learn how and add a little DIY charm to your wedding while enjoying live music, good wine and good company courtesy of Sannino Bella Vita Vineyard! 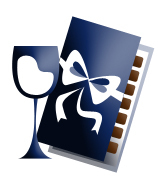 Roxanne Browning from Exotic Chocolate Tasting & Anthony Sannino from Sannino Bella Vita Vineyard will take you from creation to pairing delicious wine & chocolate. It will help you create the perfect combinations for your wedding day, not to mention, making you the wine & dessert connoisseur of the night! W Studios New York will be out at Sannino Bella Vita Vineyard, for their Annual Classic Italian Grape Harvest Festival this weekend, so in the sprit of the North Fork in the fall they will give away a VINEYARD or FARM ENGAGEMENT PHOTO SESSION. ONE lucky couple will be randomly chosen for a complimentary engagement photo session (approximately 1-hour) on the North Fork on October 7th or October 10th. 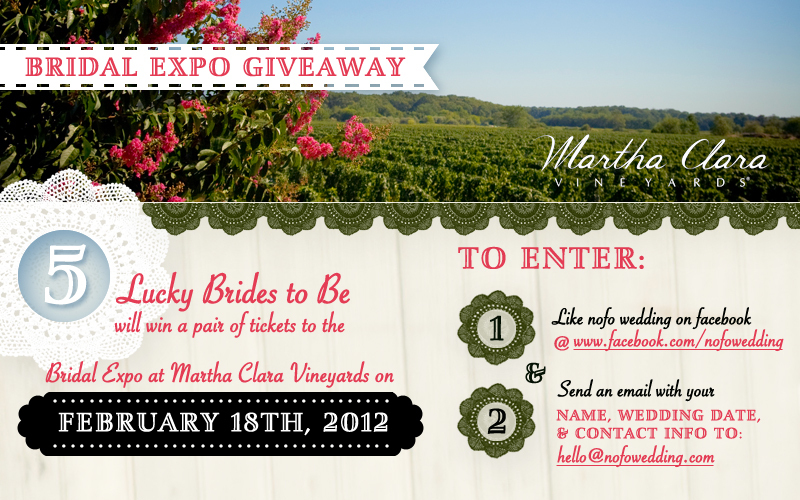 To enter, send an e-mail to info@wstudiosnewyork.com with your and your fiance's name and contact info. Contest ends Thursday October 6th, 2011 at 6pm. In addition to the engagement session the lucky couple will also get to meet Yuliya from NOFO Wedding. 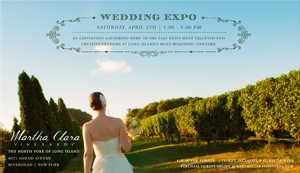 Part of the wedding experience on the North Fork is participating in the events at the local towns, wineries & farms. Next month we have a special harvest event coming up at Sannino Bella Vita Vineyard. The Annual Classic Italian Grape Harvest Festival will be held on October 8th from 9-3pm. Purchase your tickets today because they are going fast and don't forget to bring your pruning shears & the entire family! Click Here for details.